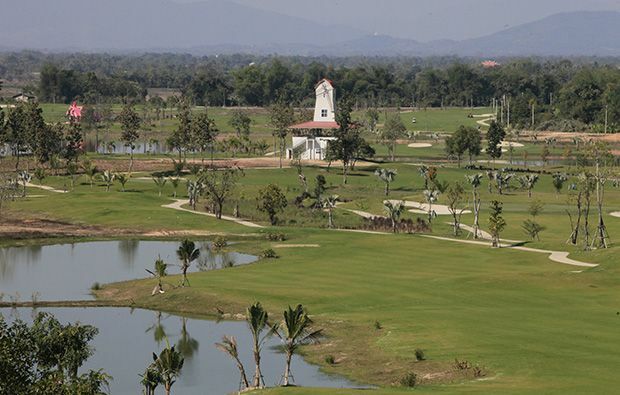 The locally-designed Happy City Golf Resort features three nines (Mountain Breeze, Lakeside and River) and in addition there are two spare holes which can be used when necessary when other holes are closed for maintenance. 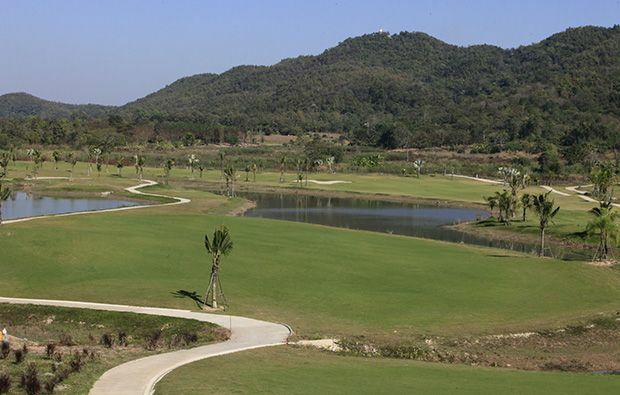 Great view of the surrounding mountains as you pick your way round the paspalum fairways and Bermuda greens that will ensure your putts run straight and true. 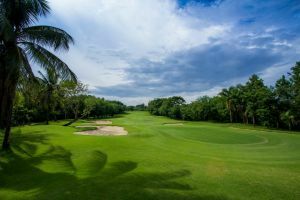 The elevated tees give you a good view of hazards on the wandering fairways although you could encounter some unwelcome surprises lying in wait over the brow of the hill or the other side of the dog-leg so consult your caddies at all times. Several tough approach shots over water really test your nerve and the greens have matured quickly and are fast but true. There are a couple of unusual par-3s – the 7th green is shapes like the Korean peninsula, and the 16th resembles a map of Thailand. Further unusual touches can be found when you stop for a drink – one of the kiosks looks like it comes straight out of the Flintstones and the other is a windmill. The clubhouse overlooks the 1st and 11th tees where you can relax with a cold drink. 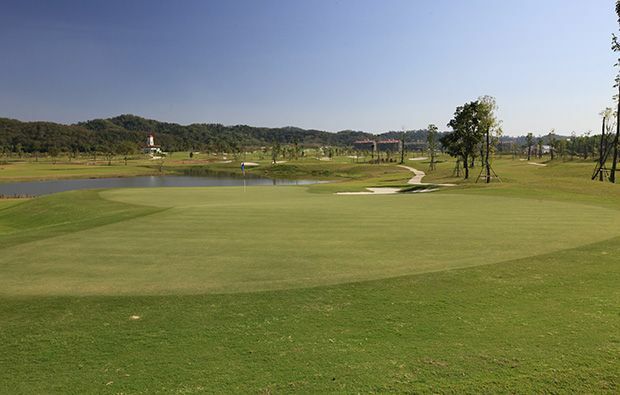 Other facilities include a spa and sauna, driving range, golf academy and practice green. 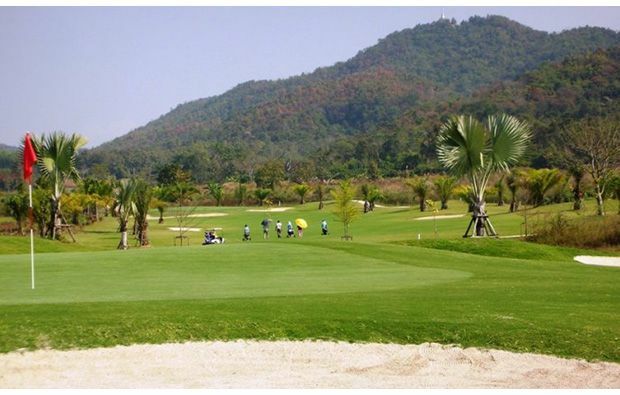 It’s pretty easy to secure tee times at Happy City Golf Resort in Chiang if you book with us you can enjoy very inexpensive green fees. 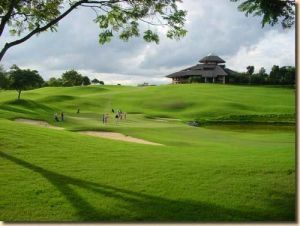 Happy City Golf Resort has different Services to offer. Choose a date and number or players to see the rates.